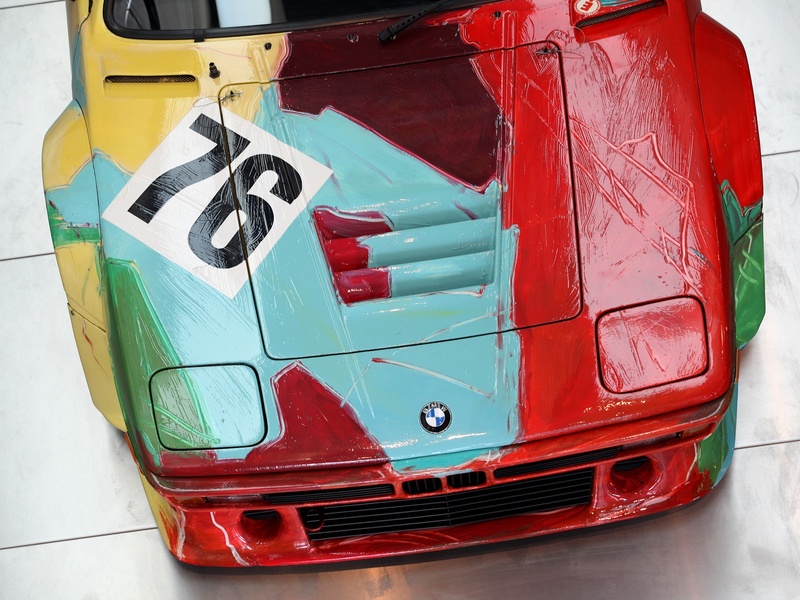 In 1975, Herve Poulain, who was a french racer for BMW team in the 24 Hours of Le Mans, offered to his friend, american artist and sculptor Alexander Calder to paintjob his BMW 3.0 CSL. Poulain was going to race in 1975 Le Mans on that painted car, apparently in an attempt to draw attention to the BMW team. Unfortunately, he didn't finish the race because of a damage and failed the race, but the extravagantly painted car obviously attracted the attention of the public: BMW top managers decide to exhibit every year on the Le Mans race a new car, painted by a famous artist. 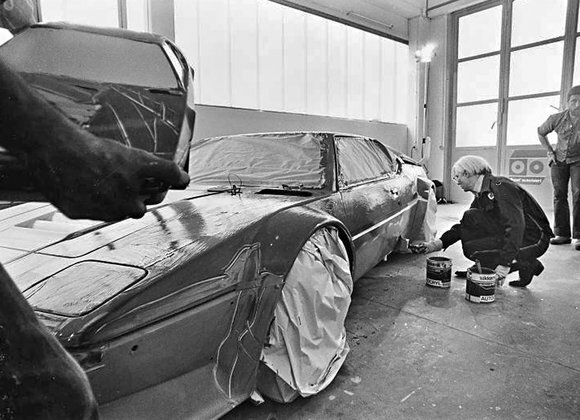 As a result, painted art-cars raced seven times - in 1975-1977, 1979, 1992, 1999 and 2010 years. The collection of art-cars include also "civil", not BMW racing breed models, like 6, 5 and 7 standard (not M package) series (all models can be found in the attached art-cars poster). 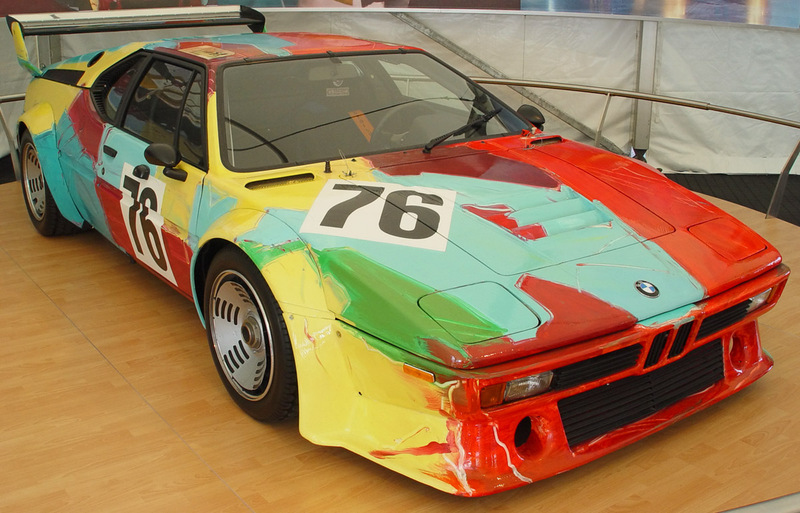 One of the brightest representatives of the art collection was the BMW M1, which was painted by the legendary Andy Warhol in 1979. 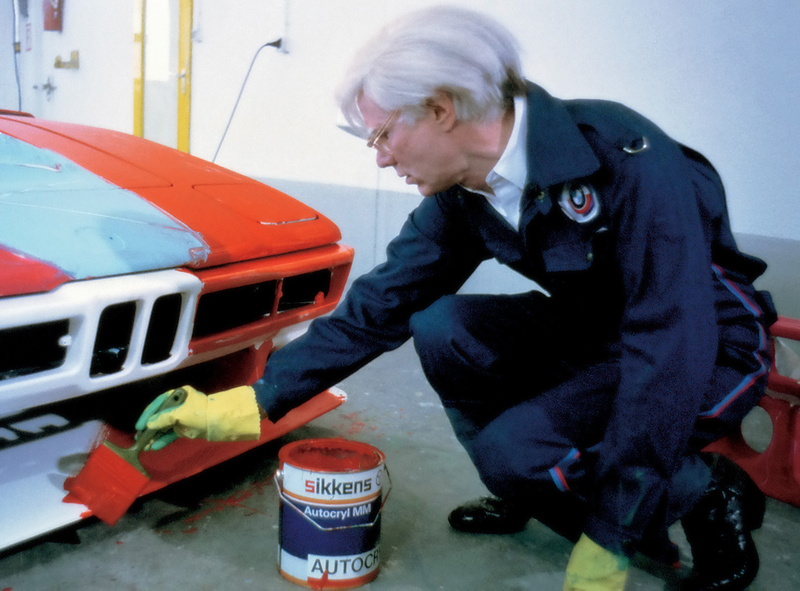 He painted the car himself from the beginning to the end, without thorough preparatory work (not like all other artists, participated in the BMW Art Cars before Warhol), and then left his autograph on the car body. All the action took him 23 minutes. 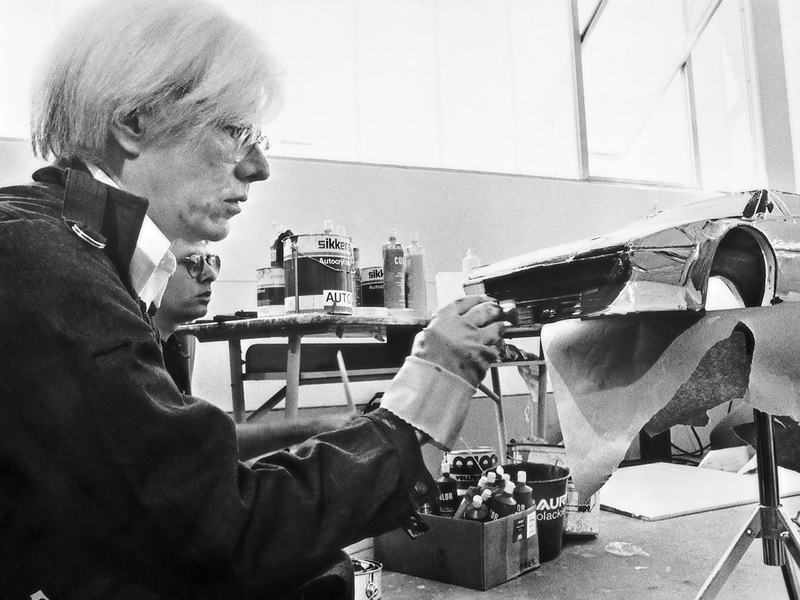 As Warhol later explained, he "Tried to give a vivid picture of speed. If the car is driving very fast, all contours and colors are blurred". 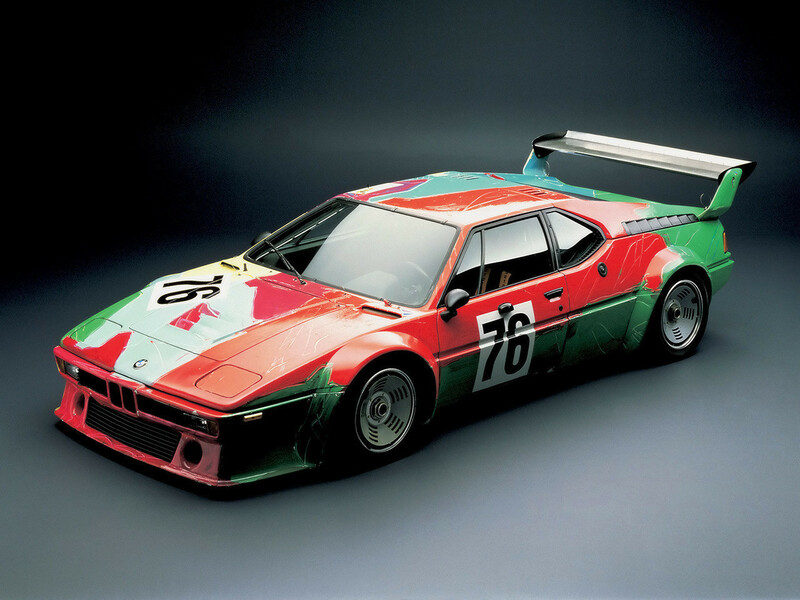 That art performance was a very good advertising campaign for BMW, because the M1 just saw the light in that year. The pilots of the M1 art-car on the Hockenheim track in Germany were: leader of BMW M1 car development Jochen Nierpash and Frank Stella - an experienced racer and, concurrently, one of the prominent artists of the time. 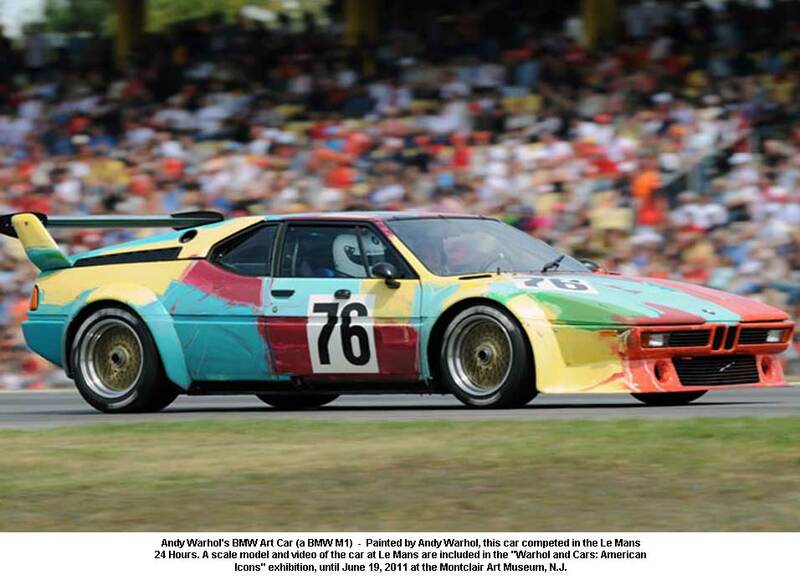 Andy Warhol's BMW M1 made out at the Le Mans once - with Herve Poulain, Marcel Mignot and Manfred Minkelhokom behind the wheel. The result was a sixth place overall and second in class, with 3,800 kilometers overall mileage at an average speed of 160 km/h and a top speed of 307 km/h. 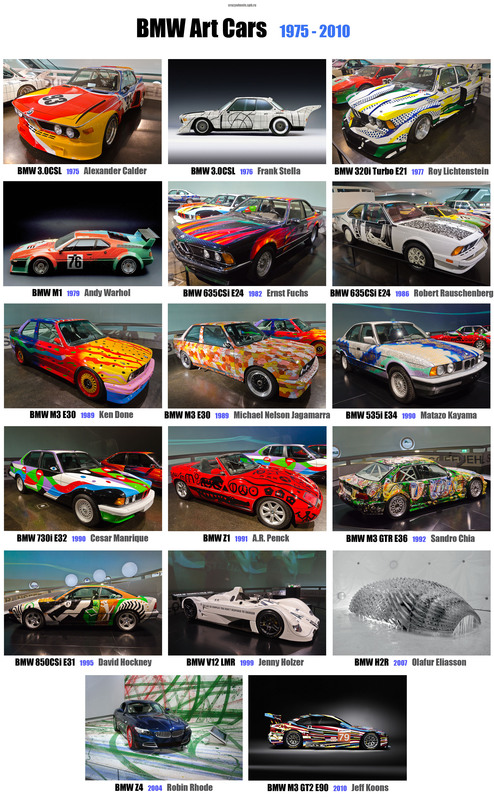 BMW continued to pay attention to art-cars almost every year, as a heritage to first art-car, although they not involved in races any more, but now act as a bright art objects. Now you can see the BMW art-cars at museums and galleries, including the Louvre, the Pompidou Center, the Venetian Palazzo Grassi, a museum of contemporary art USA, and even in the St. Petersburg's Hermitage. The time, painters and museums have made these "works of art on the wheels" available to the public.